Looks like everyone is taking heed of the South African blogs and voting for Cape Town. Check it out, up to 4th already. 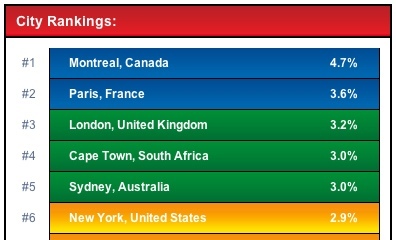 Keep up your daily votes and who knows, maybe Cape Town will come out tops. Oh, and don't forget to nominate "Johannesburg" for your wildcard choice. It's up to 9th now.